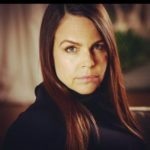 Like many—maybe even most—of us, I’m just a little too obsessed with true crime. I’ve listened to the podcasts (Up and Vanished, And That’s Why We Drink, Criminal…), read the books (Helter Skelter, The Devil in the White City, I’ll Be Gone in the Dark…), and gone on my fair share of deep dives into the murky depths of Wikipedia (do not, I beg of you, google Issei Sagawa alone at 2:00am.) I come by my obsession honestly; I was practically raised on British crime television (Poirot, Miss Marple, and Midsomer Murders, anyone?) and have been devouring my mom’s paperback murder mysteries since elementary school. 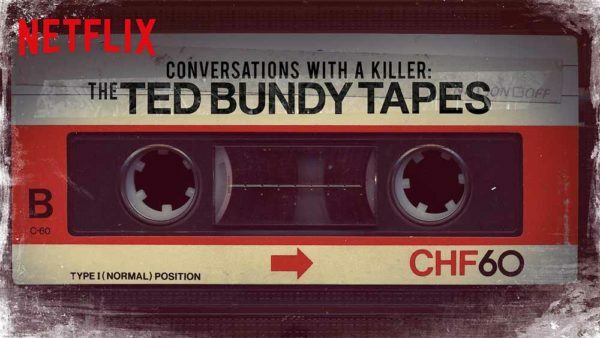 Given all of this, I had no hope of holding out against Netflix’s Conversations With a Killer: The Ted Bundy Tapes, all four parts of which were released this past Thursday. I tried to resist. I took in the repeated warnings not to watch it alone. I thought about my own complicity in a culture that romanticizes killers while erasing their victims. I asked myself why I wanted to watch the series in the first place when I’d already conducted enough personal research into Bundy’s life and crimes that I could have applied for grant funding. I reminded myself that I had work in the morning. All to no avail—I watched it. Of course. And, at the end of those four episodes, I emerged from my cave of blankets, tortilla chips, and sweaty palms with the dawning realization that, even after hours of facts and memories and police reports and archival footage and death row interviews, Ted Bundy remained exactly as he had always been—a transparent cipher, at once empty symbol and impenetrable mystery, both utterly anomalous and entirely commonplace. Because, at its core, the story of Ted Bundy is just the story of privilege and manipulation—power and charisma, bias and delusion—writ large, retold and recited into a burnished collective memory, reduced to familiar signifiers (the beige Volkswagen, the blue eyes) and bone-deep fears (if a supposedly handsome, Reagan-Republican law student could be a remorseless killer, couldn’t anyone?!). And ultimately, our fears are justified. Yes, anyone around us could be a murderer, an abuser. Yes, they could remain undetected. Yes, they could escape. Yes, their judge could sentence them to death in one sentence and practically offer them an internship in the next. Yes, we’re afraid of it all, and not because it feels unknown, but because we’ve seen it before. The triumph of The Ted Bundy Tapes is that they reveal, time and time again, the ways in which even our deepest instincts, our most ingrained self-preservation mechanisms, can be overridden by our socialized bias, by our racism, by our willingness to trust—again and again—those who have continually revealed themselves to be untrustworthy. In a time when convicted abusers are so often celebrated, when harassers maintain their careers even after they’ve been exposed, when forgiveness is coerced from victims and perpetrators demand unearned redemption, the story of Ted Bundy—regardless of how horrific and disturbing it is—starts to feel like a prosaic terror, a known entity. Partway through The Ted Bundy Tapes, an old coworker of Bundy’s, Marlin Lee Vortman, says that Bundy seemed like the kind of person “you’d want your sister to marry.” A police officer recalls that, after her department released preliminary information seeking leads, multiple women came forward in the fear that their boyfriends could be the elusive killer. Bundy is repeatedly described as “good-looking,” “clean-cut,” “charming.” He’s portrayed as both normal and special, a combination that—even now, thirty years after his death—serves to inoculate him against the kind of vilification we reserve for those who are not troubled white men, the kind that doesn’t leave room for a sort of winking, sideways lust. And yet here I am. Watching Netflix series about men who murder their wives, listening to podcasts about charismatic cult leaders, poring over Wikipedia articles of violent criminals. All those good-looking, clean cut white men we hate to love and love to hate. Rapt, waiting, almost gleeful. Watching a monster create his own myth. Watching a villain hide in plain sight.